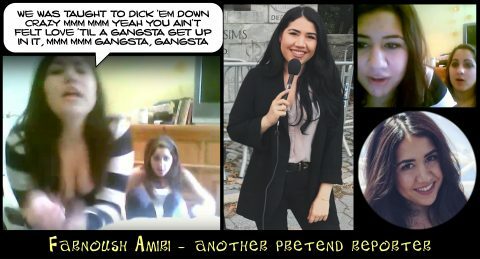 Alexandria Ocasio-Cortez not only looks like The Tramp; she thinks like him too. Charlie Chaplin was a fatherless English communist, born in 1889, raised in poverty, and though he hated America, he moved there anyway, to make money. A London child-laborer by nine, his syphilitic mother became psychotic and was committed to an asylum before Charlie found stage work. At nineteen he was touring 1908’s USA in a music hall company. Soon after, he rocketed to fame using the Tramp persona and was making his own movies through United Artists, which he co-founded. Chaplin became a worldwide star and very rich. Although capitalist America had provided Charlie Chaplin the means to make millions and set him up for life, he despised free enterprise and all it stood for, including the United States. A committed communist, his films reflected his ideology, highlighting his belief in the immorality of industry, corporations, the rich, and the helplessness of poor, penniless tramps. Many Americans saw it as pure indoctrination, helping the Soviet Union in their own propaganda against America and the West. Lenin said, “Chaplin is the only man in the world I want to meet,” and Hitler watched Chaplin’s backhanded homage to the tyrant, ‘The Great Dictator,’ twice. The next year his American wife renounced her US citizenship and became a British citizen. 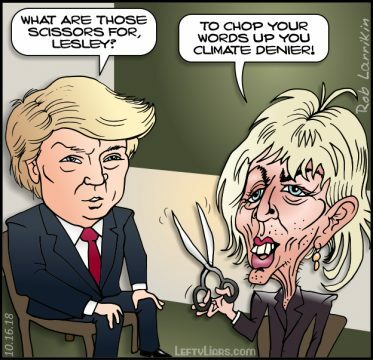 So much for The Little Tramp. 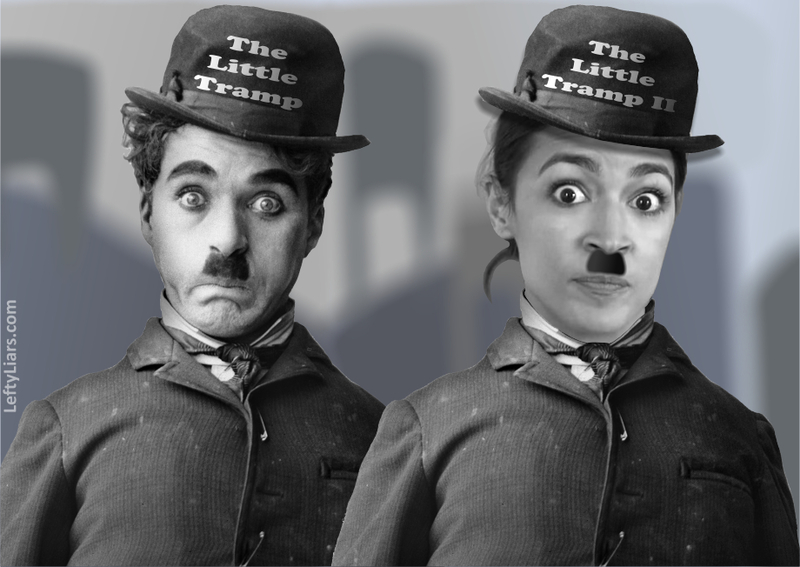 How about The Little Tramp II, Alexandria Ocasio-Cortez? After his death in 1977, rumors say that Charlie Chaplin’s ghost roamed the world for 11 years, 9 months and 18 days until he found another soul to inhabit. 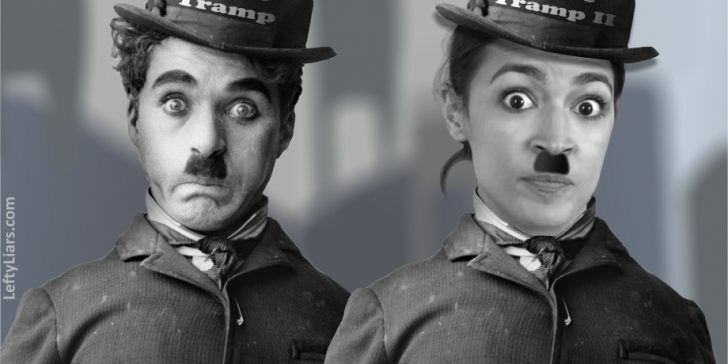 In 1989 Alexandria Ocasio-Cortez was born, and there seems to have been an uncanny resemblance to Chaplin from the start. The Palestine and Democratic Front for the Liberation of Palestine party, which is a Palestinian Marxist–Leninist–Maoist organization. How about the North Korean Workers’ Party of Korea which runs the Democratic Front for the Reunification of the Fatherland? Then there is the Communist Party of India (Marxist–Leninist) New Democracy, and many others. 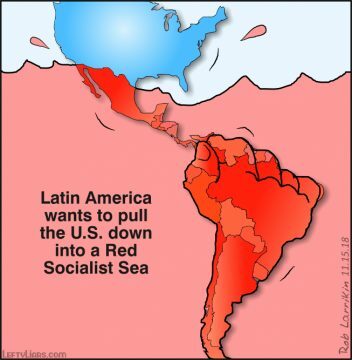 In fact, this page has a list of communist parties around the world. Once there, search for the part-word ‘democ’ to see all those with ‘democracy’ or ‘democratic’ in their name. Scroll down all the way to see many dozens. Now search for ‘social’ and scroll down to see hundreds of references to socialism. The Little Tramp Charlie Chaplin influenced people using films. The Little Tramp II, Alexandria Ocasio-Cortez, will affect them directly as a politician. 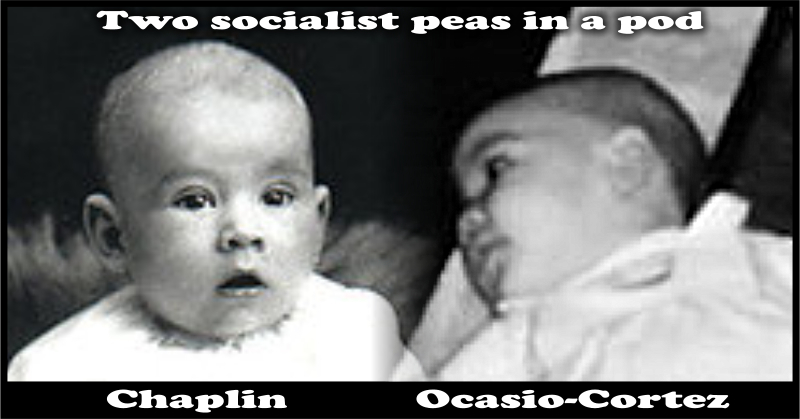 Both hated capitalism, corporations, American Free Enterprise and democracy, and both dreamt of a world run by communists. Hopefully, Americans will see through Charlie Chaplin’s clone and find a way to have her deported to Switzerland. Charlie Chaplin helped build a tidal wave of communism to surf atop as it swept the world, encouraging it for all he was worth as it killed hundreds of millions, injured billions, bankrupted nations and stifled the dreams of countless masses. Now, little Alexandria Ocasio-Cortez wants us to suffer the nightmare again, but Trump and his wall stand in her way. The FBI that was busy fighting Chaplin in his day has been taken over by the Democrats. 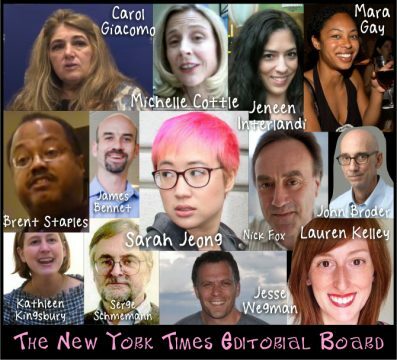 Today they are doing their best to destroy Trump. The President’s almost impossible task is to win the 2020 election with a healthy majority; one that allows him to overcome the many forces gathered against him. If anyone can do that, Donald Trump can. At the end of the day, brave businessmen always trump tramps. Is NBC’s Political Reporter a Young Iranian/U.S. Bimbo?